I found an amazing blanket with a floral motif today. I really wanted to share it with you, that’s why I will write a post about it. It’s a free pattern that you can safely download in this article. The blanket is made with the wonderful C2C method. It is a nice and pleasant stitch. 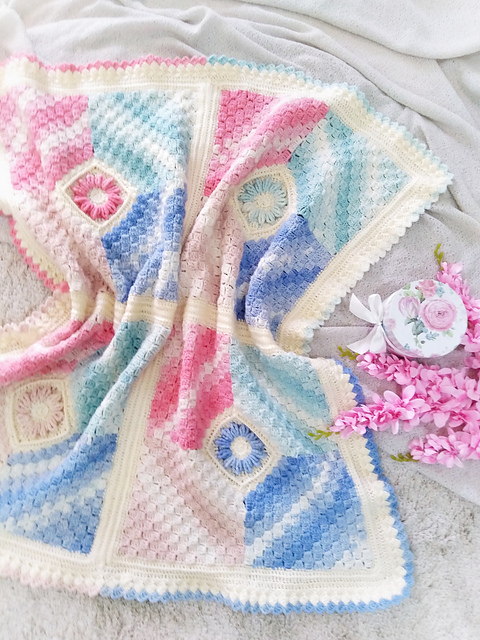 The blanket is in wonderful and elegant colors. It is connected to four large squares. Each of the squares has a flower. It is very feminine and subtle. Choosing a pastel color is a very good idea. 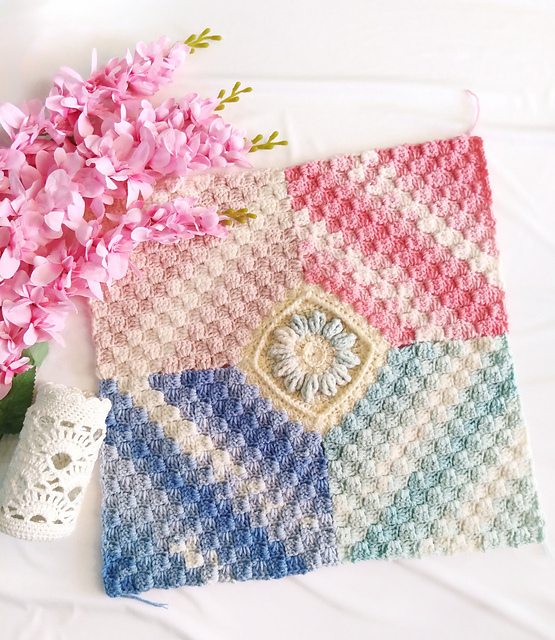 Flower Corners Blanket Free Crochet Pattern is here.